Disneyland, a place usually associated with kids, is also a place for adults who grew up with Disney cartoons. It’s hard to resist the Disney magic that you feel as soon as you step unto the resort grounds. and Disneyland Hollywood Hotel. 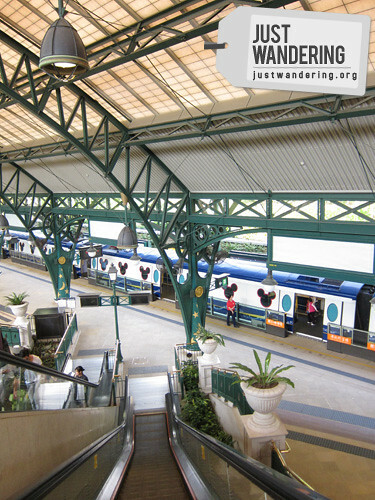 The resort can be reached by the specially designed MTR train on the Disneyland Resort line that connects to the main MTR line through Sunny Bay on the Tung Chung Line. Public buses also serve the resort’s Public Transport Interchange, as well as taxis. Taxi from the Hong Kong International Airport costs approximately HK$120. Walking from the transport interchange, you’re welcomed by instrumental themes from Disney movies. Just before you go through the ticket booths (day tickets cost HK$350 for adults, HK$250 for kids aged 3-11 years and HK$170 for seniors. Tickets can be bought online. ), there’s a musical fountain with Mickey surfing on the waters coming out of a whale (is that Monstro?). The full force of the Disney magic hits you when you go through the park’s entrance. Disneyland is exactly how you’d imagine it to be: grand, whimsical and full of small details that’s distinctly Disney. Though many of the rides are for kids, there’s a number of attractions that adults can enjoy. 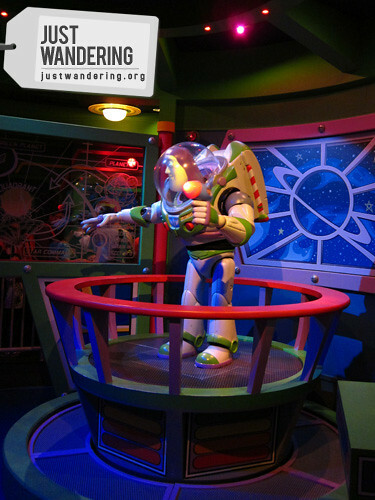 Give your competitive streak a treat as you blast through Zurg’s underlings at the Buzz Lightyear Astro Blasters. Tickle your senses as you ride in pitch darkness through Space Mountain (be sure to open your mouth wide and scream your hearts out throughout the whole ride). 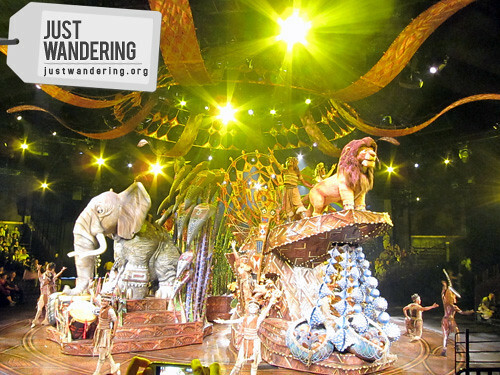 Sit back and enjoy reminiscing through Disney Favorites at the Golden Mickey Show and the Lion King Show. There’s a lot of people flocking to Disneyland anytime of the year. If you have limited time in the park, invest on a Fastpass, that lets you in on an express lane on Space Mountain, Buzz Lightyear Astro Blasters and The Many Adventures of Winnie the Pooh. If you have serious moolah to spend (about HK$3,200), consider a Supreme tour, wherein you get direct entrance for all attractions. You’re not allowed to bring food and drink into the park, but don’t worry as there are plenty of food options for all tastes and budget. You can enjoy Cantonese noodles, country fried chicken or a full vegetarian Indian meal in the restaurants around the park. Shopaholics who still haven’t gotten their fill from Hong Kong’s crazy shopping scene can still indulge at the many souvenir shops scattered around the park. It’s not uncommon for guests to be wearing shirts, hats and accessories bought from the shops, so don’t be shy and walk around wearing that Minnie Mouse headband you just bought. The park is open daily from 10 am to 7pm from Sunday to Wednesday, and up to 8pm from Tursday to Saturday. The park’s closing is marked by the grand fireworks by Sleeping Beauty’s castle. Everybody gathers around for this, so if you want prime seats to enjoy the show, be sure to come at least 30 minutes to claim a spot. The park’s pyromusical extravaganza puts other fireworks display to shame. It’s a fitting end to a magical experience. This is the third post of a four-part Hong Kong series. Read part 1 and part two to for our adventures in Hong Kong Island and Kowloon. For more pictures, head on over to my flickr. This trip was made possible by Nuffnang. Looks like a whole day of fun! My 6-year old daughter and I are scheduled to go to HK on the 24th and plan to stay at the Bridal Tea House on Yau Ma Tei. How do we go to Disneyland from our hotel? Just type in Yau Ma Tei as origin, and Disneyland Resort as destination. Hope one day you could visit my province up north – BATANES. Panalo yung Lion King! Sumakto yung balik ko sa Park for the 12noon show! remains to be the happiest place on earth! ? YES! Kailangan mabalikan! Nabitin ako!! Hey I was trying to add nuffnang to my site but I just couldn’t seem to make it appear help? Great trip Nina! When we visited Disneyland, andaming tao talaga! and it was a weekday. anybody who would see the parade of Disney stars would bring out the inner child in them. heck, i even started waving at the characters/mascots just because of the feeling of being in a magical place. Ayun ang na-miss namin, yung parade! Gusto kong bumalik ng Disney! Specially late this year.. mag open daw yung Toy Story land! Have you tried all the fun rides? 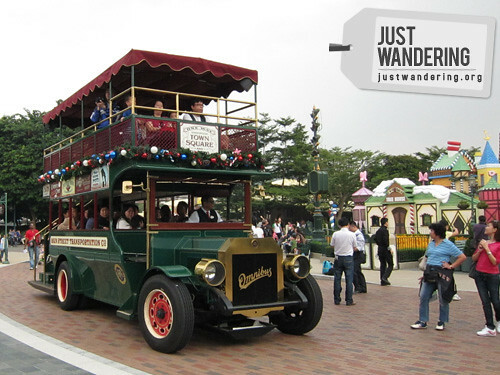 Which one do you recommend as the must “do” at Disney Land HK? Go na, lapit lang ng HK! Kasi ang galing naman talaga ng Pinoy! hi.. my husband and i was planning to hong kong with our son until when ung celebration nila sa 5th year? everyday b may parade of characters? thank u.
Hi!Our family are planning to go to hongkong this May.I would like to ask a suggestion from you if what is the cheapest way in availing an airfare?Is the parade in disneyland everyday?We would bring along w/us our two children,Is it very expensive in going to hongkong?This is our first in hongkong would it be better in an agency? Tina, the best way to get cheap airfare is to watch out for airline promos. You can also check out packages offered by airlines, which already include airfare and accommodation in HK. I’m not sure if there is a parade everyday (there wasn’t a parade when we went there). Hong Kong can get very expensive; certainly more expensive than the Philippines. If you don’t have time to research about where to stay and what to do, I think it’d be best for you to get a package from a travel agent. Can anyone pls email me how much the promo tour to hk for the month of Aug. And I’m ahe cheapest price. We’re all 9-10 passengers. 1 senior citizen and 2 kids ages 9 and 12..and the rest are adults. I appreciate the reply. Than You. Its my first time to go to Hk with my daughter this 22 of July. I want to know how long my time spend going to Disney if i came from Fanling. What would u advice. for the disney ticket. its better to buy through online or in HK ticketing booth. Ticket bought one day pass what are the ride priveledges include for adult and a kids. Pls. ellaborate. 12 days from now were excited. many Thanks if you answer my inquiry as soon as possible. 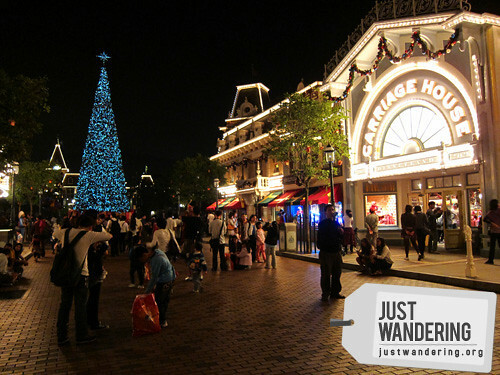 It’s best to set aside one day for Hong Kong Disneyland, specially if you’ll be there on a weekend. I think it’s more convenient to buy online because it saves you having to line up to buy tickets when you get to the park. WE ARE PLANNING TO GO THIS COMMING DECEMBER SA HONGKONG, MGA MAGKANO KAYA MA GASTOS NAMIN 4 KAME 2 CHILDREN AND 2 ADULT , SANA MAKAKUHA KAME PROMO IF MERON, PATI HOTEL BALE PACKAGE NA SYA LAHAT LAHAT NA ,MAGKANO? Inquire nalang kayo sa travel agent. Wala akong mga alam sa tour packages. Hi, you can try the Golden Crown. It’s near the Tsim Sha Tsui MTR station and Airport Bus stop. When we stayed there last January, our room cost HK$350 per night. Your Utmost Response is Highly Enjoined. my husband and i are going to HK on January 22…i do not know the details yet…my agent has not given me our itinerary. my concern is that my husband has walking difficulty from his stroke five years ago and he walks rather very slow. 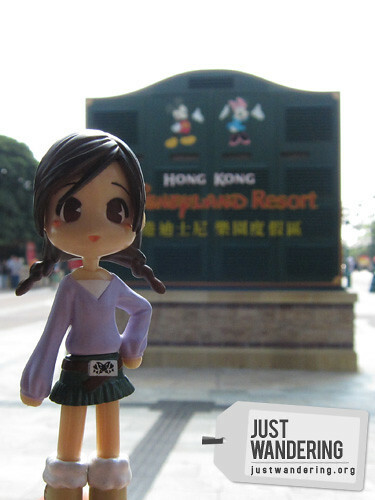 i know that one place we are slated to visit is HK Disneyland. from the NAIA to HK airport and to some of our destinations, could a wheelchair be available to us for his comfort and ease of travel? can this be arranged in advance? thank you so much. am so anxious about this. blessings. hi again. i know you stayed at golden crown, but are there any other cheap hotels you might suggest. in terms of security, cleanliness, and location. thanks. That’s the only cheap hotel I know in Kowloon. We are planning to go to Hongkong on April 11 to 15 for 7 pax how much it will cost. kindly give me an idea. Thank you so much.. HAHAHAHAA!!! nakakatawa i wish i could go to lion king…. i’m estellena, Sofronio Sangco.i want to send a email in Embassy of the United States America her in Manila how can i send a email. I know there’s a wheel chair rental, but I’m not sure how much it costs to rent. First of all, let me tell you that I really like your blog. No wonder that it earned many supporters from different places already. My family and I are also planning to go to Hongkong Disneyland hopefully this December, and we will certainly look for the places you posted in here. Thank you much for sharing. Will definitely come back on this site again. Hi! Nina, Tanong ko lang kung yong day pass ba na HK$350 and HK$250 sa Disney ay for entrance lang and does not include the rides and shows inside the resort? Hindi ba ito consumable? If yes, would you know the price range of the rides or shows ? I’m doing kasi my budget for our HK tour. I think that cover all the rides and attractions.